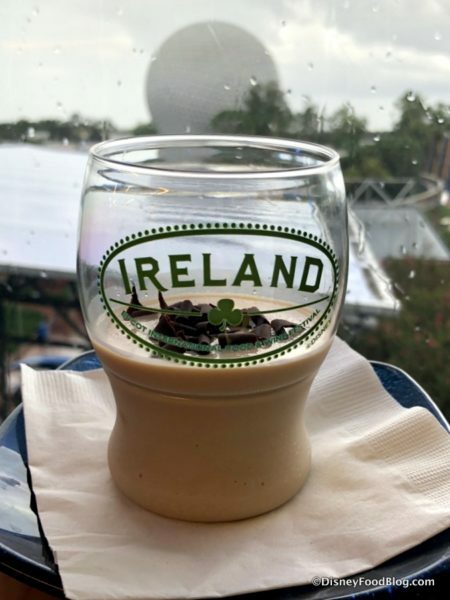 We know a LOT of you are excited about this one: the new Guinness Baileys Shake! 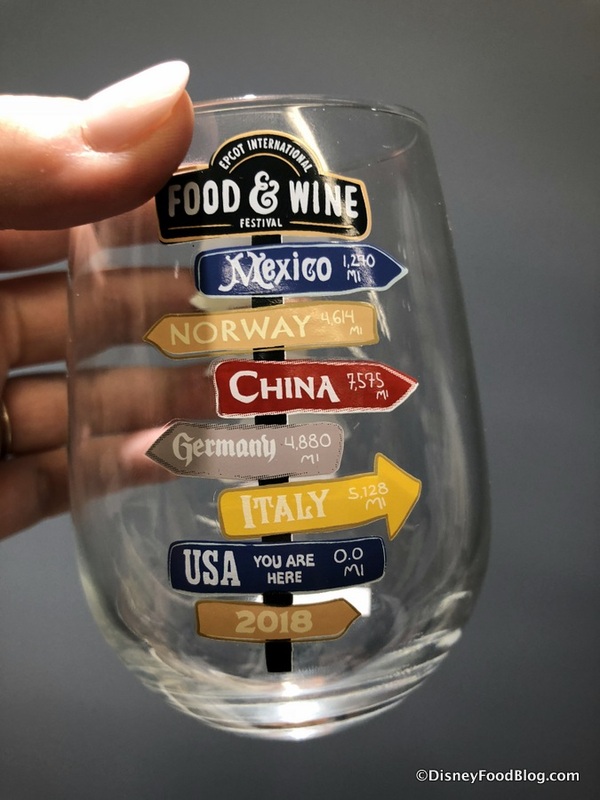 It will make its debut at the Ireland Booth this year! And — trust me — you WILL want to get it. It’s pretty awesome. 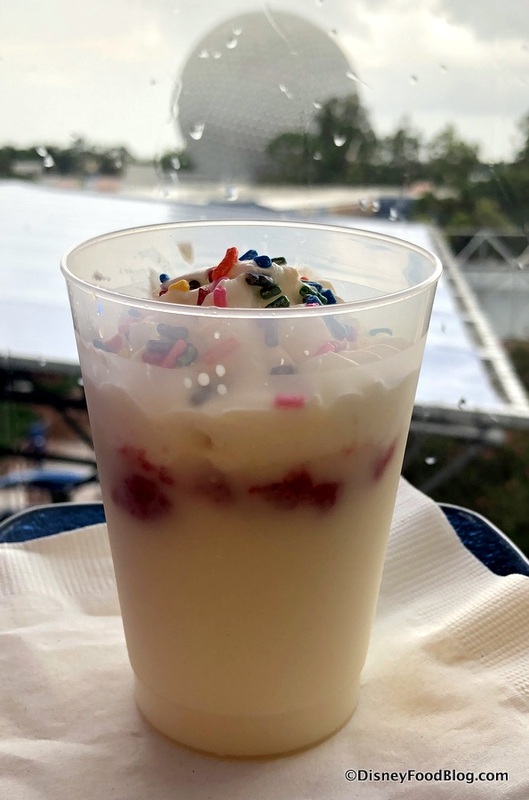 While we’re on the topic… Taste Track will serve up a non-alcoholic, very kid-friendly Pancake Milkshake! It mixes a little pancake with a little milkshake in a vanilla ice cream base with butter extract, maple syrup, whipped cream, sprinkles, and bit of strawberry puree! This one really is tailor-made for the kiddos — not sure how many adults will care for it. But it’s fun to try, for sure! 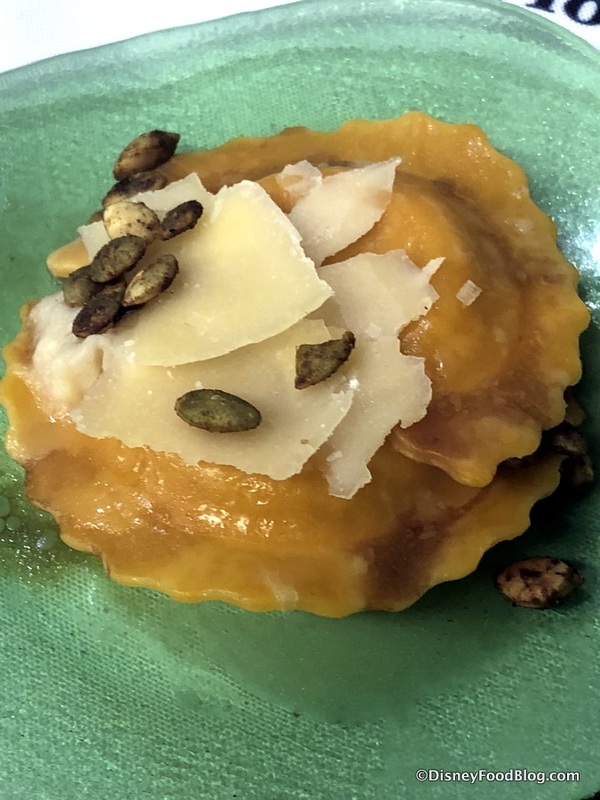 The Butternut Squash Ravioli will be new at The Wine & Dine Studio this year. The Shimmering Sips Mimosa Bar is NEW at the Festival this year! 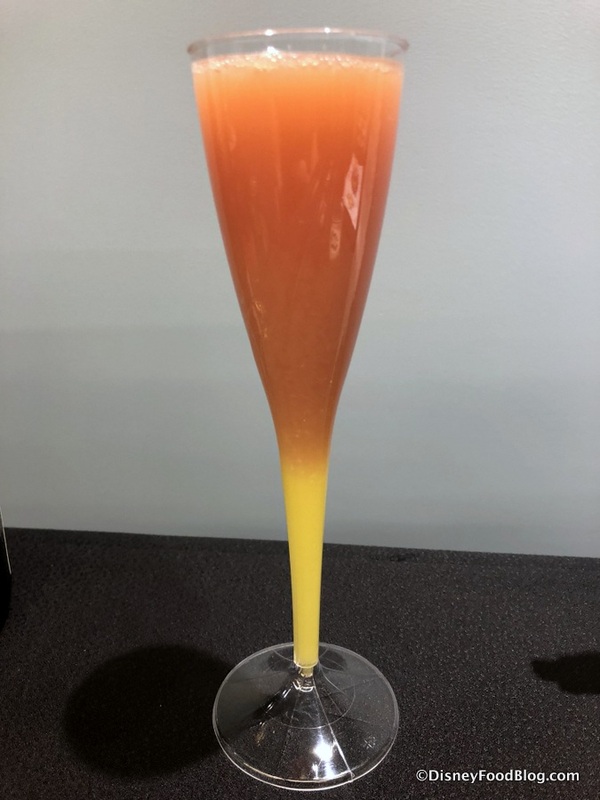 Start your Festival day in the Festival Center by raising a glass of Key Lime Mimosa, Tropical Mimosa, Blood Orange Mimosa, OR the Madras Mimosa, which we got to try! The Hops & Barley Booth never disappoints, and it’s back with the New Brunswick Slider making its debut! Overall, this is really tasty, but I did find the horseradish to be SUPER strong, so heads up on that! Flavors from Fire will celebrate its second year in a row at the Festival, and it will bring with it the new Charred Chimichurri Skirt Steak on a Smoked Corn Cake. We also got to try the Chocolate Picante: dark chocolate mousse with cayenne pepper, chili powder, and mango. Let’s take a few more sips with the RGB Beer Flight coming to the Light Lab! 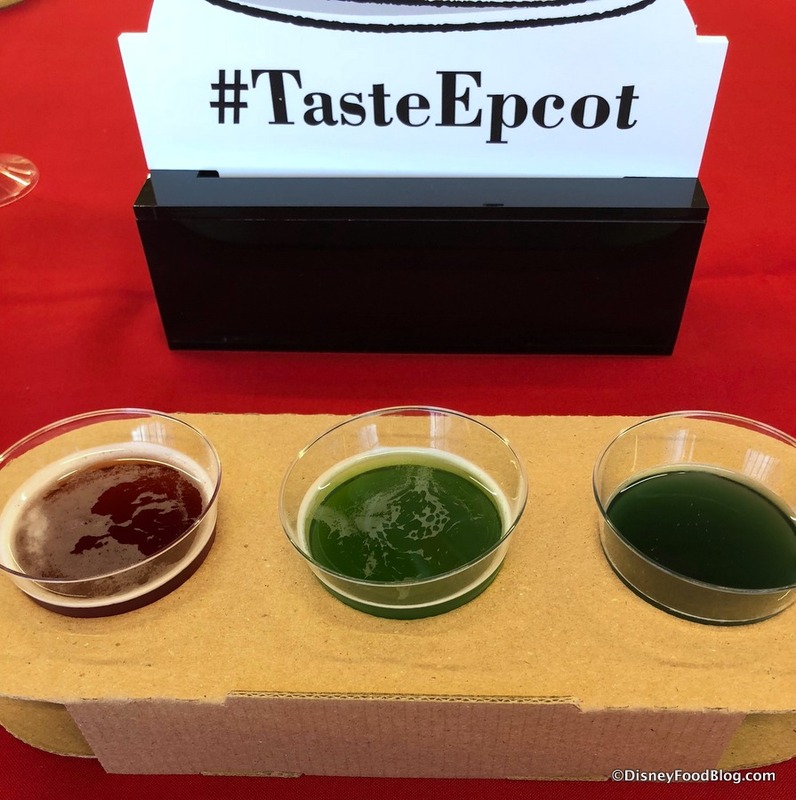 Playalinda Brewing Co.’s Red Cherry Tart, GrassLands Brewing Company’s Green Kiwi Blonde, and M.I.A. Beer Company’s Blue-berry Golden Ale make up this colorful trio. Time again for something sweet with the Maple Bourbon Boursin Cheesecake coming to The Cheese Studio! This is an absolute WINNER in my book, and I’m already looking forward to trying it again! 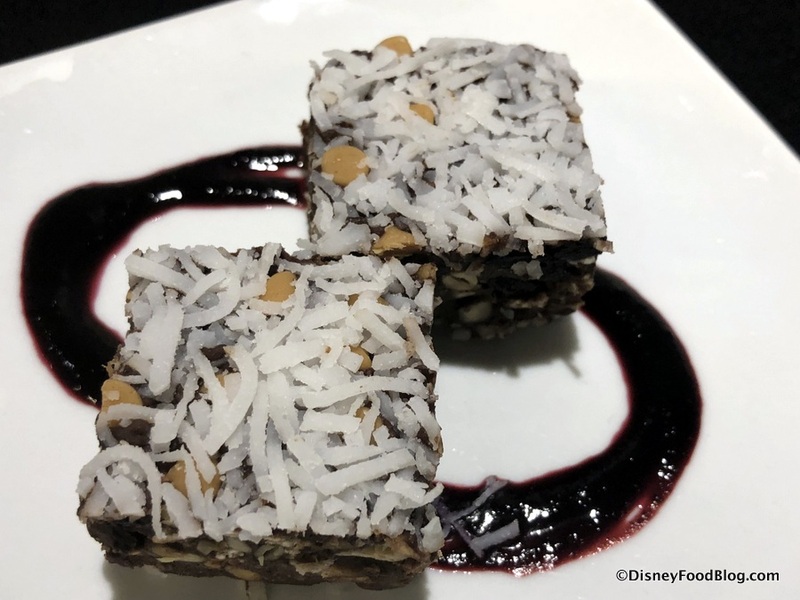 Fuel your Food and Wine Festival adventures with the Active Eats Energy Bar Bites at — where else? 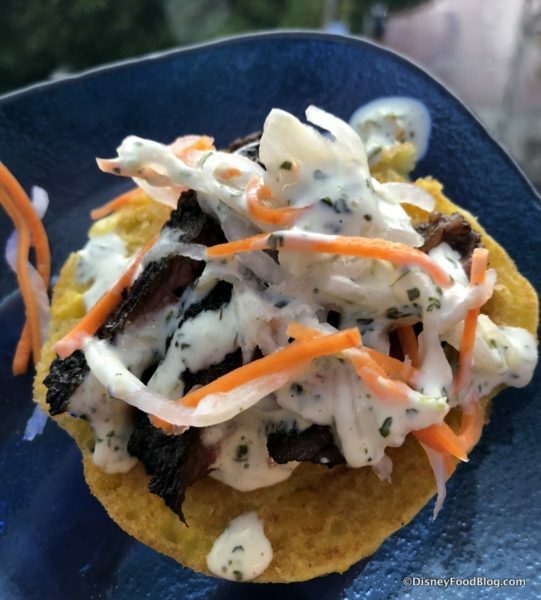 — Active Eats! Chocolate, nuts, dried fruits, and dates make up these tasty bars. 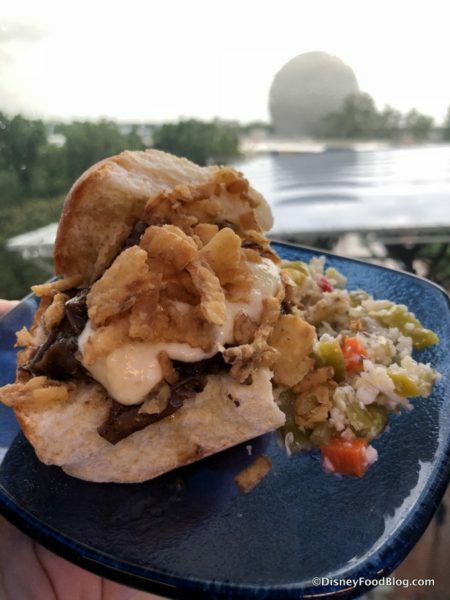 Look for The Steakhouse Blended Burger at Earth Eats this year! It’s a blended beef with wild mushroom slider topped with brie cheese fondue (!!! 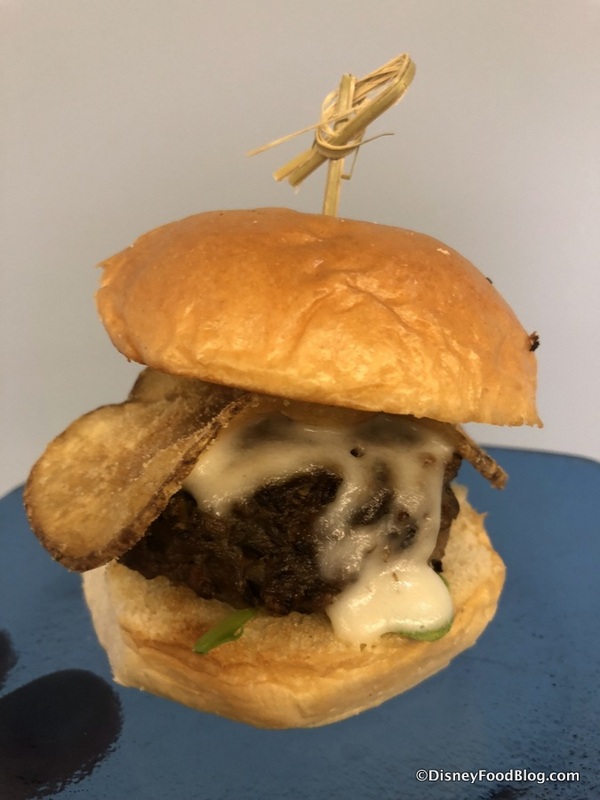 ), arugula, truffle, and a blue cheese potato chip… all on a brioche bun! What’s a Jerk-spiced Chicken Lollipop, you ask? Well, here you go! 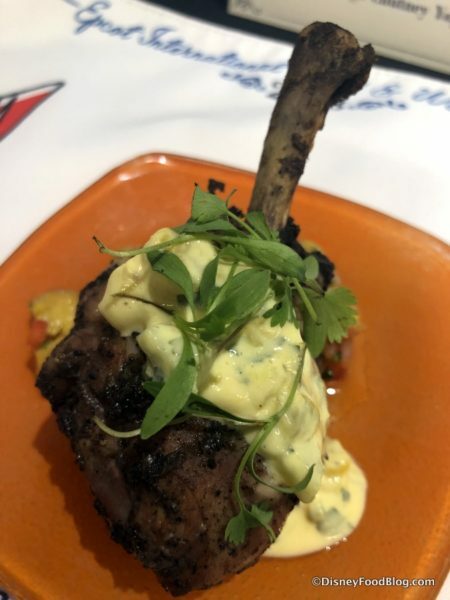 You’ll find this savory meat with roasted sweet plantain salad and a mango chutney yogurt at the Island of the Caribbean Booth. 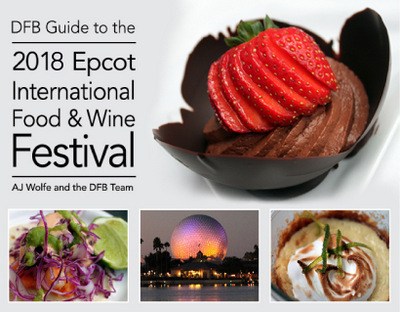 Click here to see the FULL BOOTH MENUS for the 2018 Epcot Food and Wine Festival! 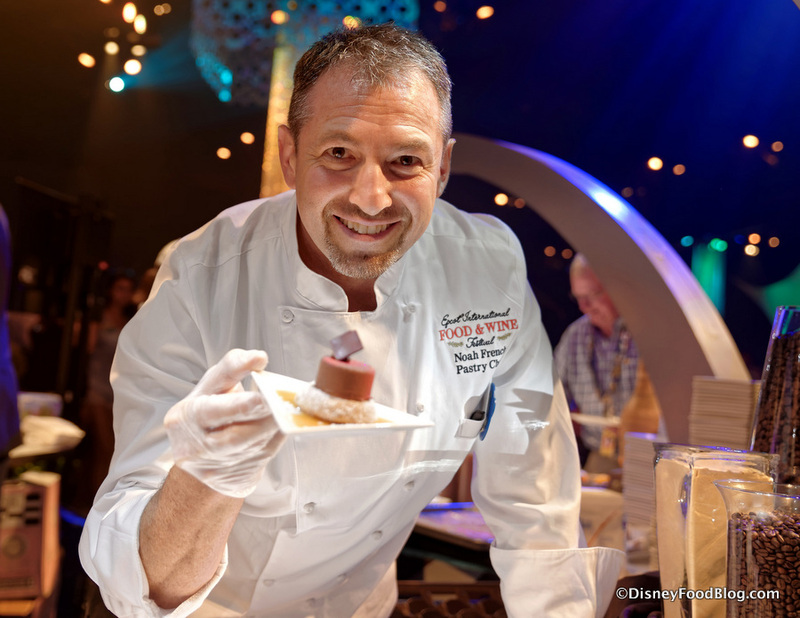 New this year, a Disney Chef will teach guests how to create their very own sweet Candy Sushi! 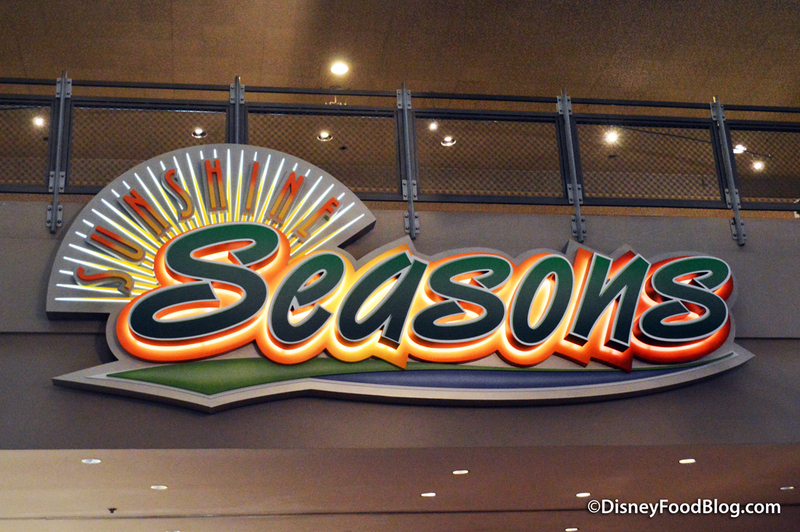 Skittles is partnering with Adventures by Disney to present this session daily at 3:30 and 5:30 pm in Sunshine Seasons in The Land Pavilion. Space will be limited, so be sure to sign up in advance at TasteEpcot.com once registration is open! The event is free, but your signup will require a credit card guarantee (similar to an Advance Dining Reservation). The Eat to the Beat Dining Packages are, of course, returning this year. But a brand new option is coming to the American Adventure Pavilion’s Liberty Inn! 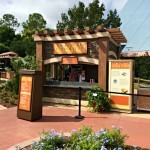 This Counter Service spot will offer a limited amount of day-of, first-come first serve Eat to the Beat Dining Packages. 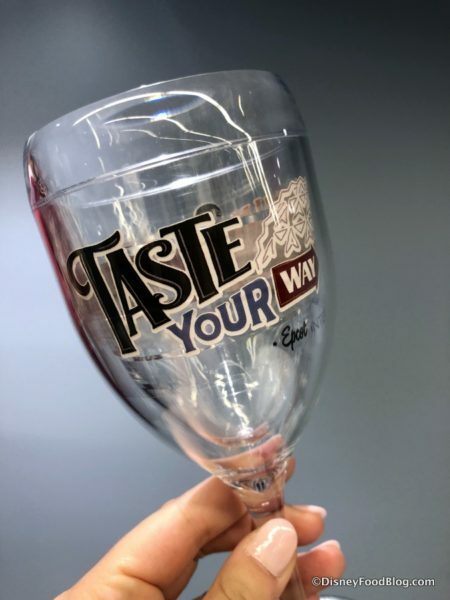 Your Festival experience can be greatly enhanced by attending a Special Event. 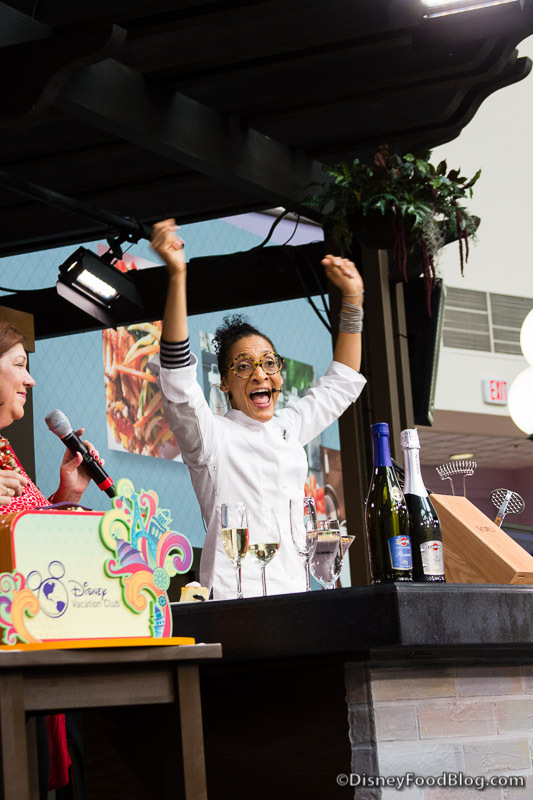 New this year is the Sunday Brunch with the Chef series! Returning options include the Party for the Senses. And we found out that the Femmes of Rock have been confirmed as performers for all five Parties! 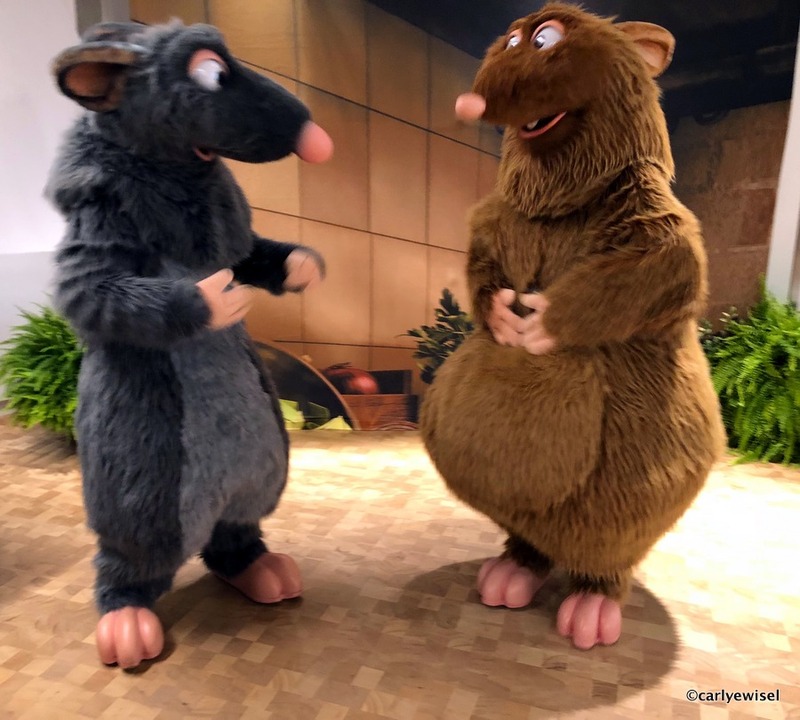 Cheese Seminars will also return. 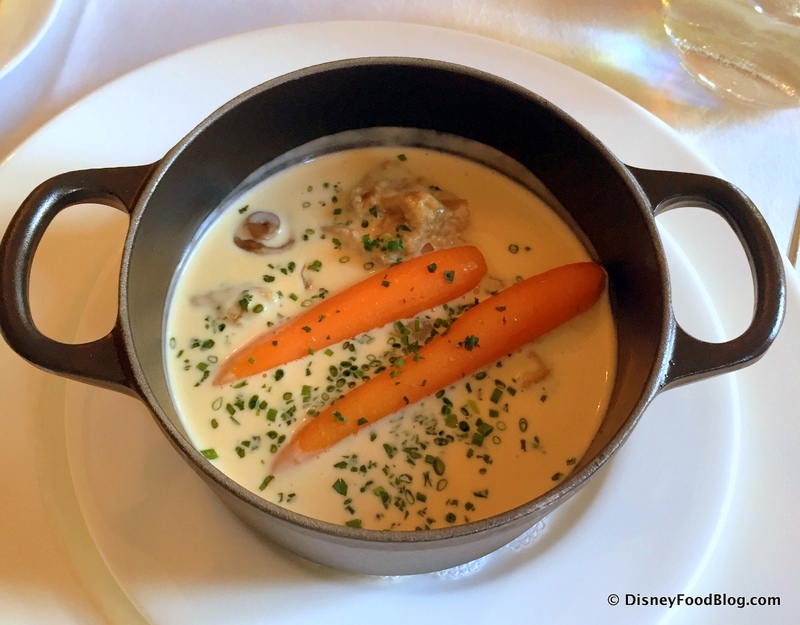 And don’t forget unique opportunities such as luncheons and pairings in various World Showcase Pavilions. 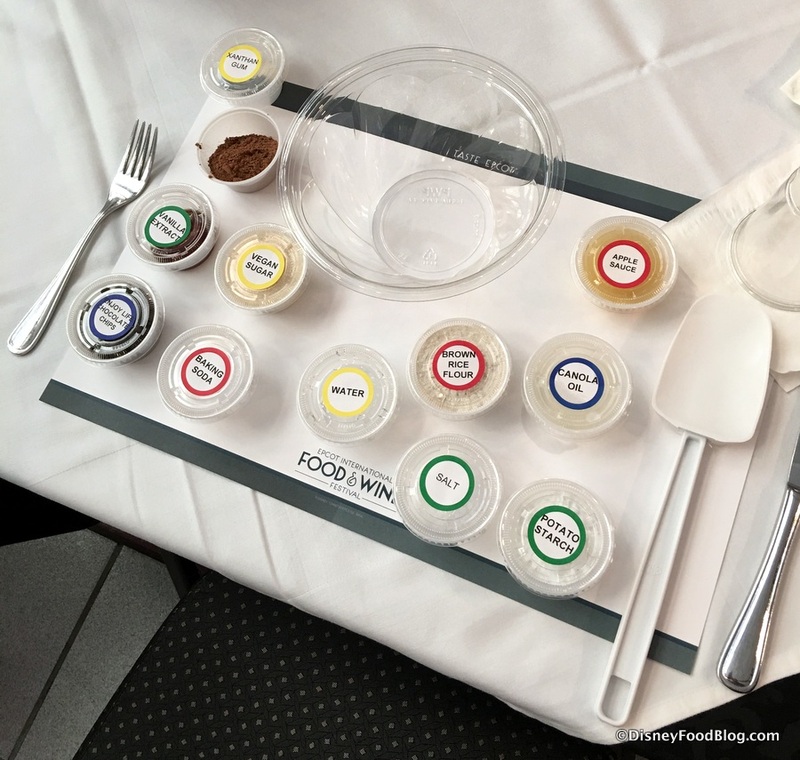 Choose from the Mexican Tequila Lunch, Italian Food Wine Vs. Beer Pairing, French Family Meal Traditions, The “Hibachi” Experience: Iron Chef, and more! 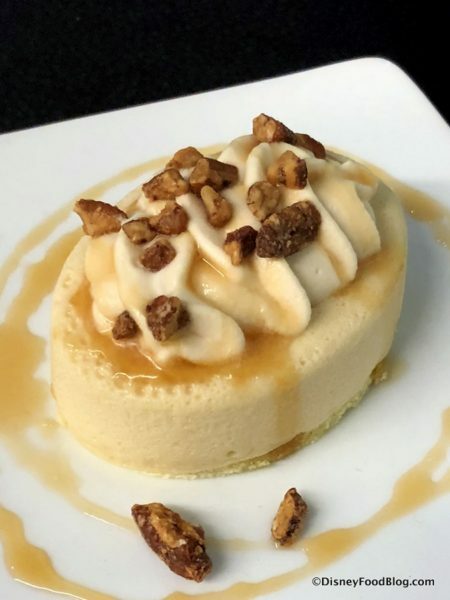 At home chefs (and those aspiring) might want to check out the low-cost Culinary Demonstrations, Beverage Seminars, and Mix It, Make It, Celebrate it! Seminars which are all returning this year. 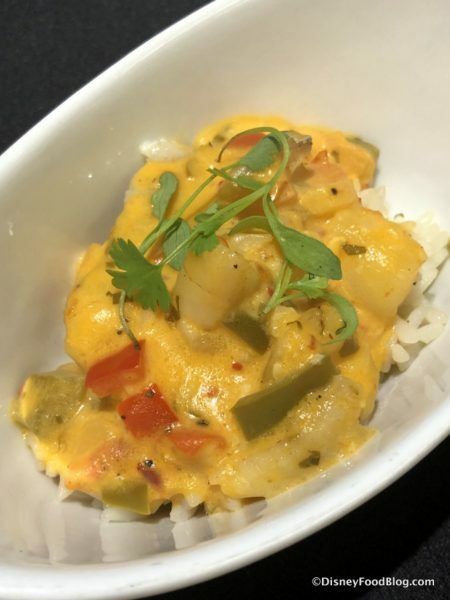 New to the scene for 2018 are Food and Beverage Pairing Events. Check out all the Low-Cost Seminars and Demonstrations here! Families have a LOT of opportunities to take in the the Festival fun together! And the Disney Du Jour Dance Party will make its debut this year, too! 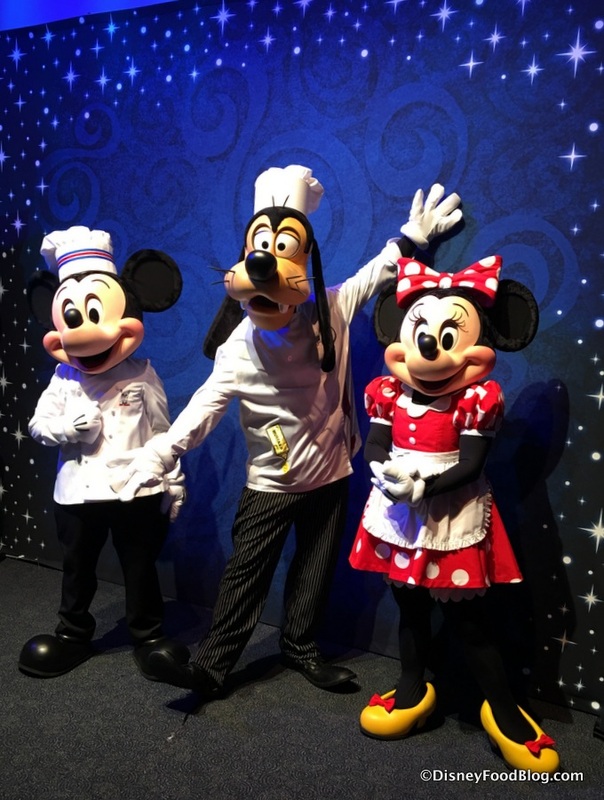 On Friday and Saturday evenings from 5:30 to 8:30 pm, kids can look forward to dancin’ with a “rotating menu” of Disney Characters! 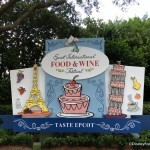 Here’s a hint: Remy and Emile may make appearances from time to time! The Fun Zone playground will give the kiddos a spot created with them in mind. 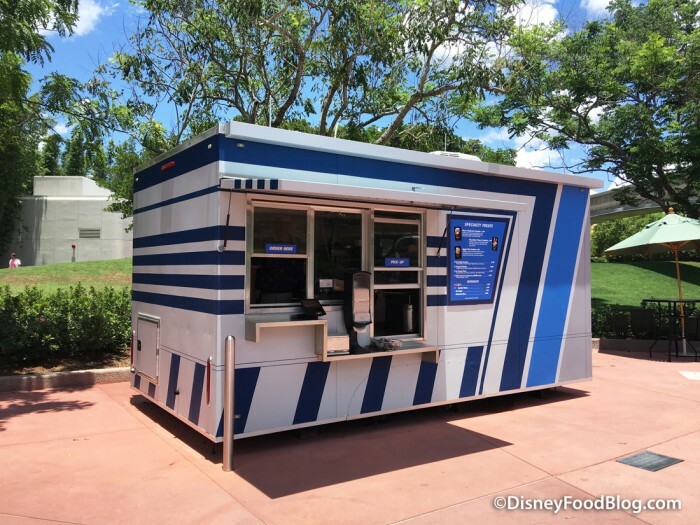 Look for it right next to Taste Track in Future World, which will be a Food Booth this year! 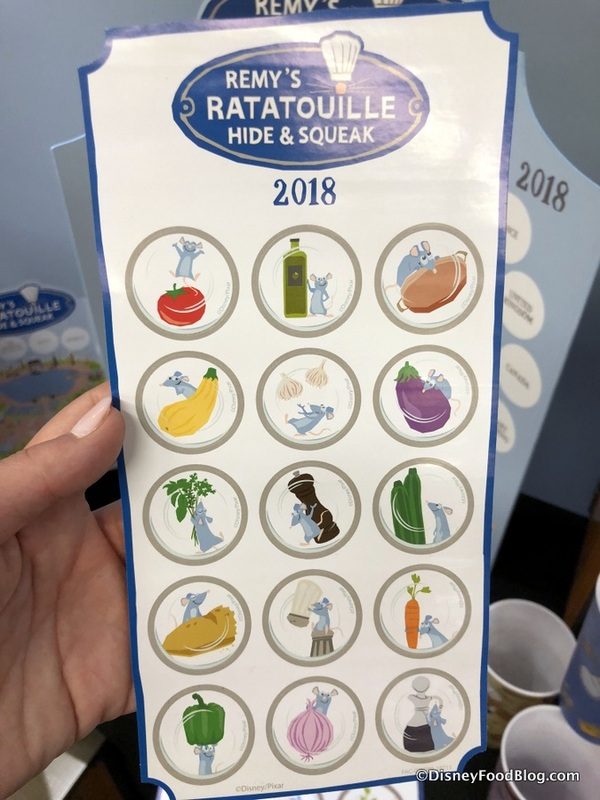 And don’t forget that Remy’s Ratatouille Hide ‘n’ Squeak Scavenger Hunt returns this year, too… with cool new prizes!! 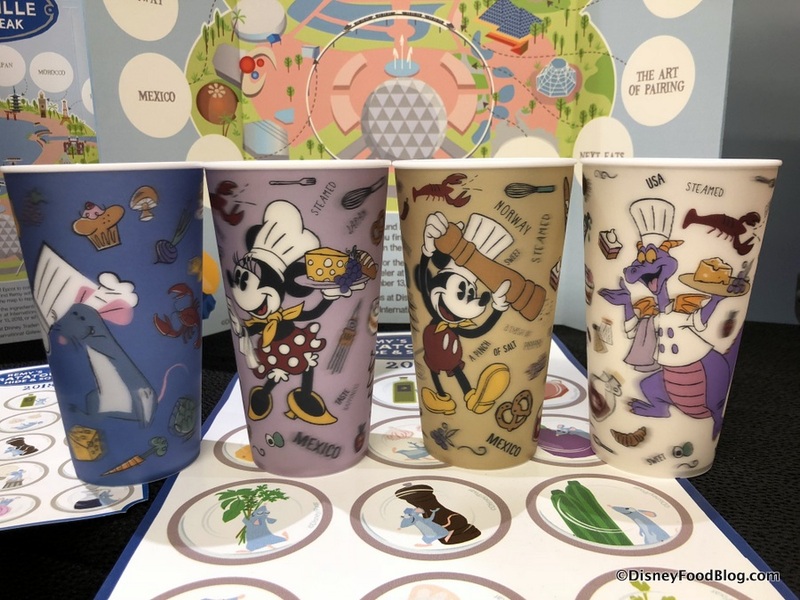 I am LOVING these cups as the prizes for this year! Here’s (more than!) 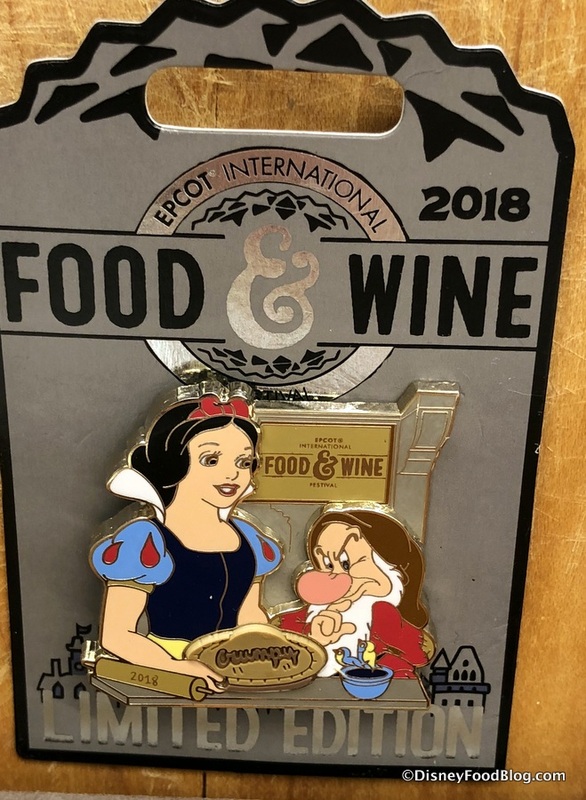 a peek the 2018 Epcot Food and Wine Festival Merchandise! There will be several ways to commemorate your time of Tasting Your Way Around the World. Foodie Figment will return on several items, of course! Chef Mickey returns on a new ornament. 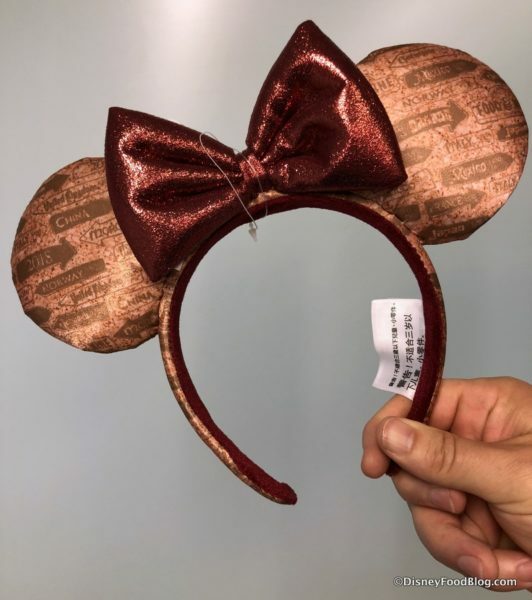 And there are NEW MINNIE EARS from his best gal! 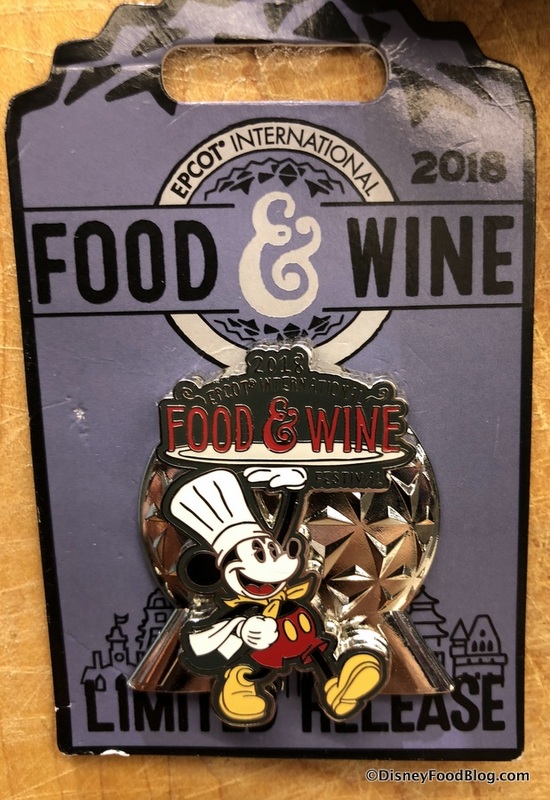 And Pin Collectors will have — as always — lots to keep an eye out for. 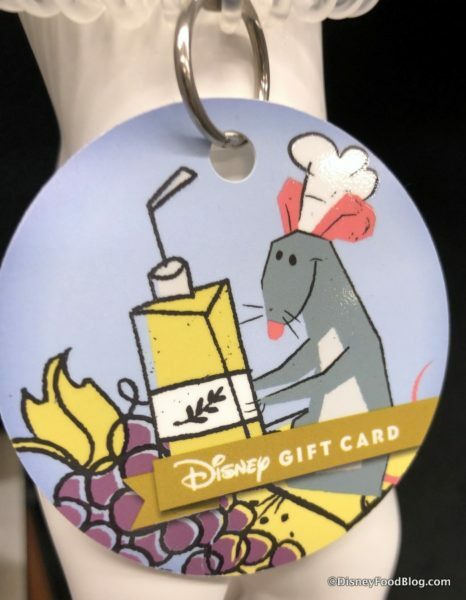 And check out the super fun, ever-popular wristlet gift cards this year, featuring Remy! 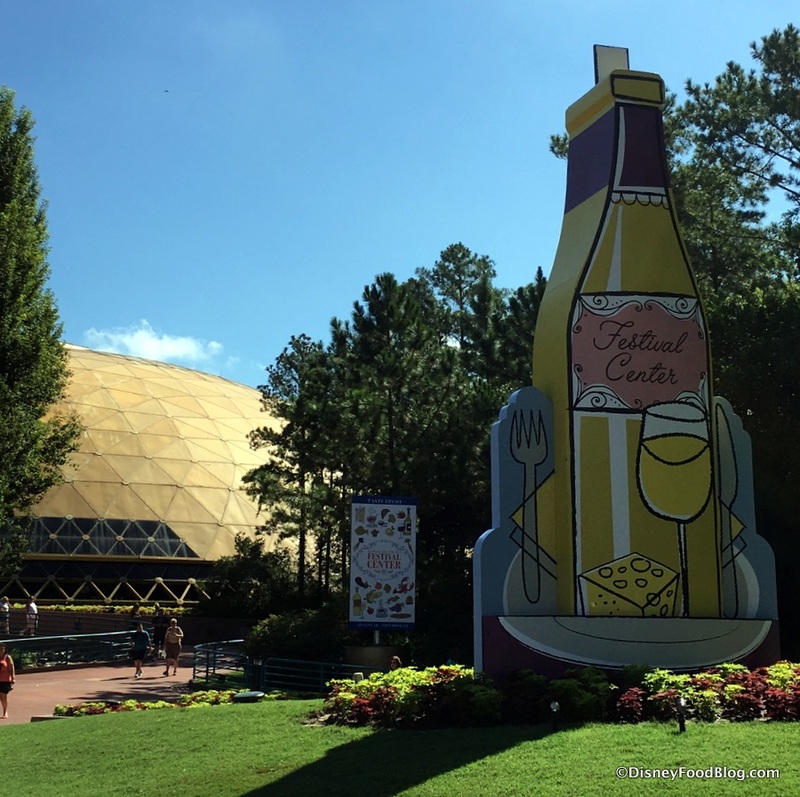 The Eat to the Beat Concert Series is a highlight for many guests throughout the Festival. 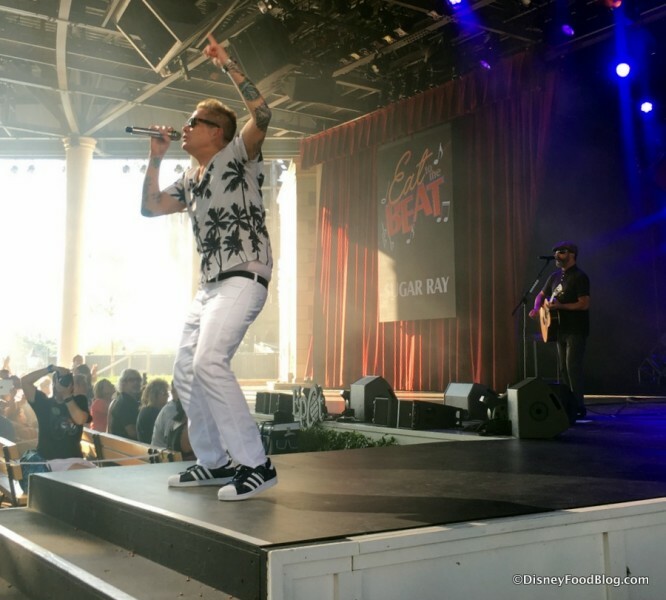 Popular bands across all genres from the 80s, 90s, and even the 00s will take the stage once again at the American Gardens Theater in the American Adventure Pavilion in Epcot to share some of their greatest hits! See the full lineup for 2018 to find out who is performing during your visit! Among the nine new acts for 2018 are Vertical Horizon, 98 Degrees, Shelia E., and more. 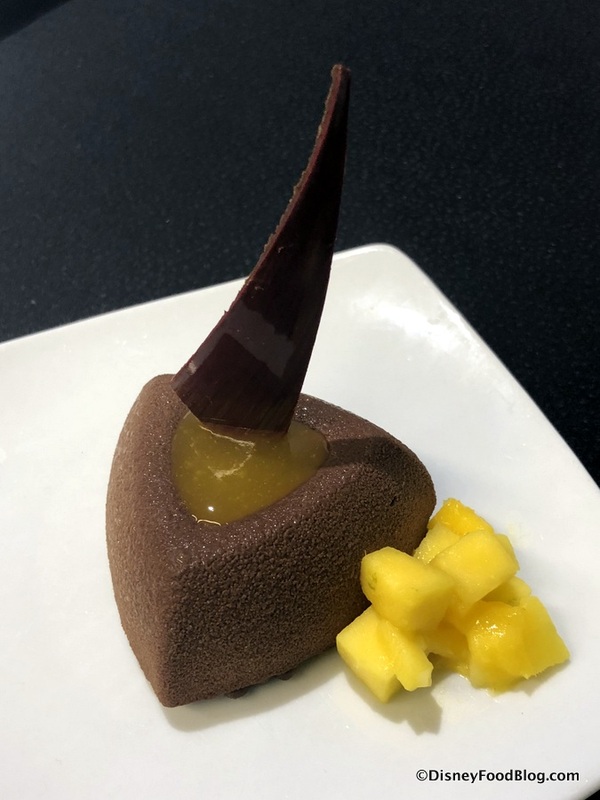 And remember… if the act during your dates is a can’t-miss for you, you might want to consider an Eat to the Beat Dining Package which pairs a meal at a participating restaurant with reserved seating for an evening show! 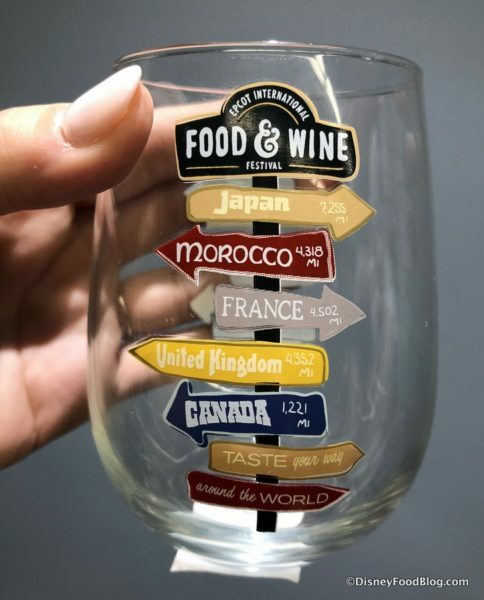 Okay, it’s high time to start mapping out your strategy, as you get ready to grab your Food and Wine Passport for 2018! 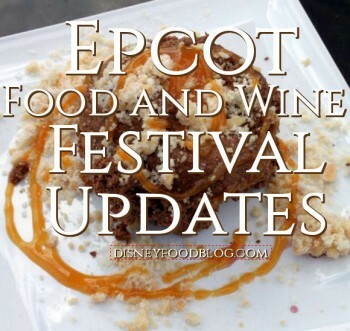 And watch our Epcot Food and Wine Festival 101 Video from our DFB YouTube Channel for more information for the Food and Wine Festival! What are YOU most excited about for this year’s Food and Wine Festival? Please let us know with a comment! No sampler lanyard this year?? 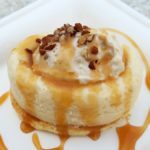 has anyone had the change to try the maple bacon funnel cake? Do we know when booking for the Sweet Sushi thing opens? The seafood stew with cheese and Bailey’s milkshake look good to me. I’d love to have a photo op with Remy, but would rather get a pin for Hide and Squeak! Any word on a Dooney and Bourke f&w bag? When will we be able to book the Candy Sushi? Ty! BUTTERNUT SQUASH RAVIOLI!!!! Oh, boy! It’s my all-time favorite! 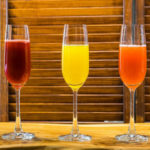 And that Mimosa looks like a natural to have with it and finish it all off with that maple bourbon cheesecake. WOW! 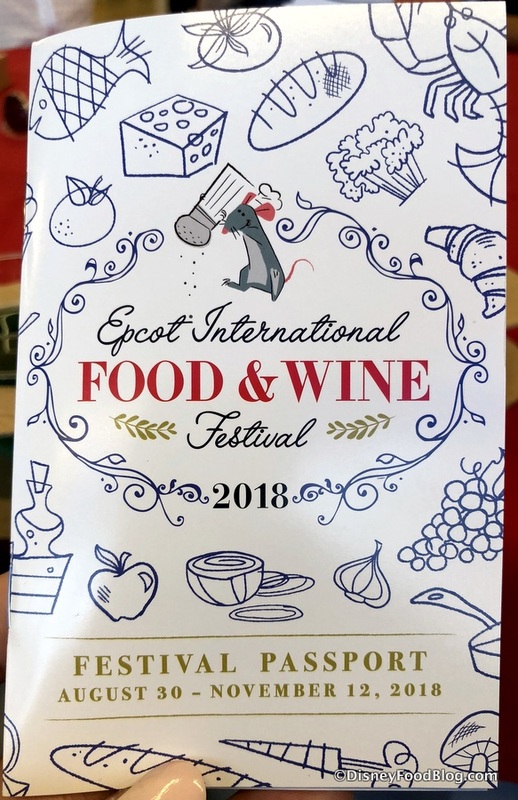 Looks like some great food and entertainment. Looking forward to a great time. Aaah waiting to see more merchandise. Specifically mugs!! Hello AJ & the DFB team! Great pics! 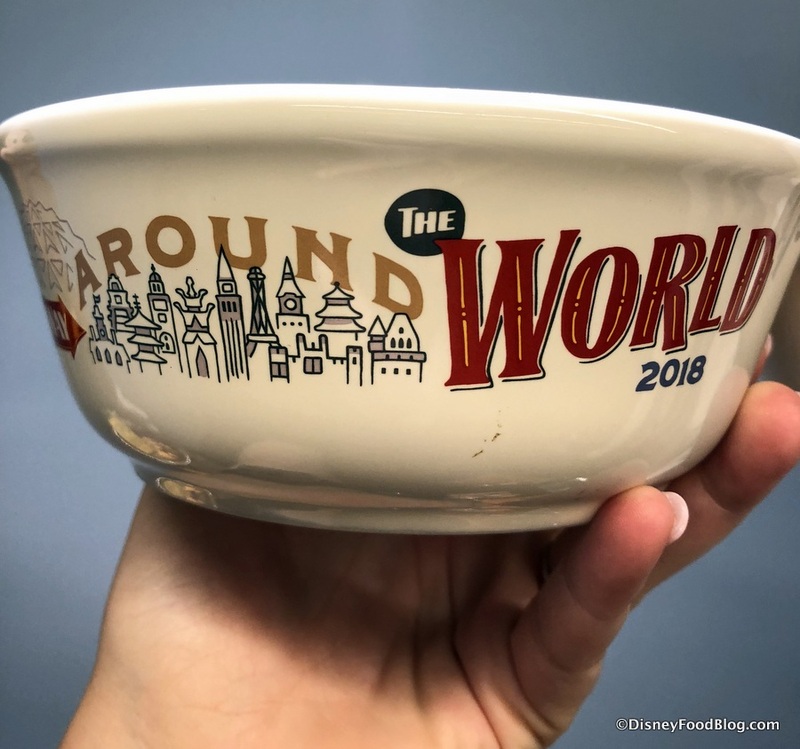 Going to be in WDW for 52 whole hours during the festival. Love all the info. 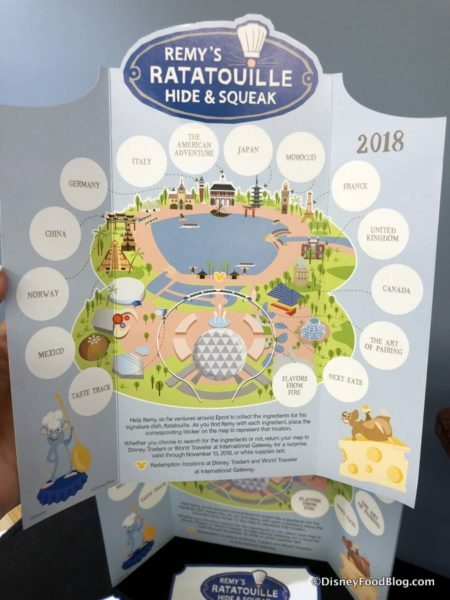 Will there be any pass holder or DVC commemorative freebies? If I missed it in the article, apologies. I would absolutely love to meet Remy and Emile!! Will they show up for the dance party? thank you so much! I think they’ve had the butternut squash ravioli before, it sounds familiar? 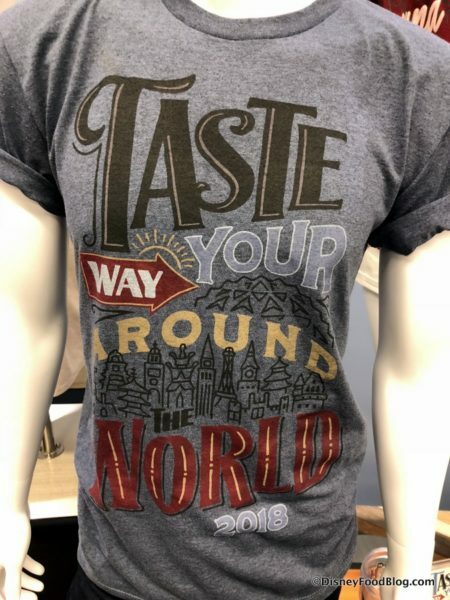 Is the T-shirt graphic on the front or the back? And will there be a festival magic band? 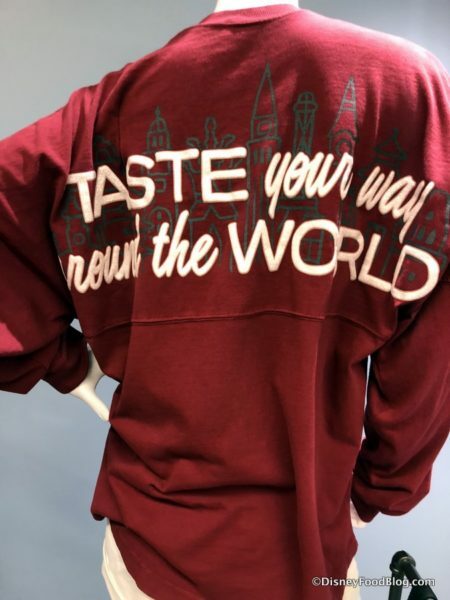 Any exclusively passholder stuff? Did the passport give any details about the upcoming festivals next year? I was hoping that the art festival would return. When/Where will it be announced when registration will be open for the Candy Sushi? I too wish that the Remy’s Hide and Squeek prize would be a pin. 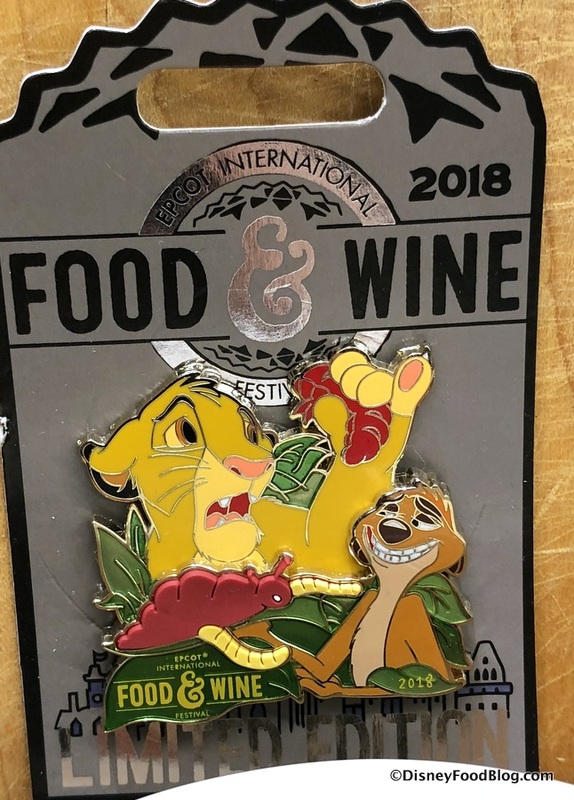 I wouldn’t mind a price increase if a pin was awarded. 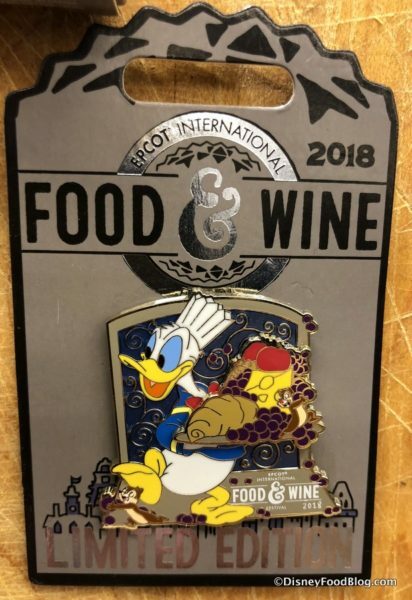 I was a little taken aback that Figment was not featured in a pin this year. 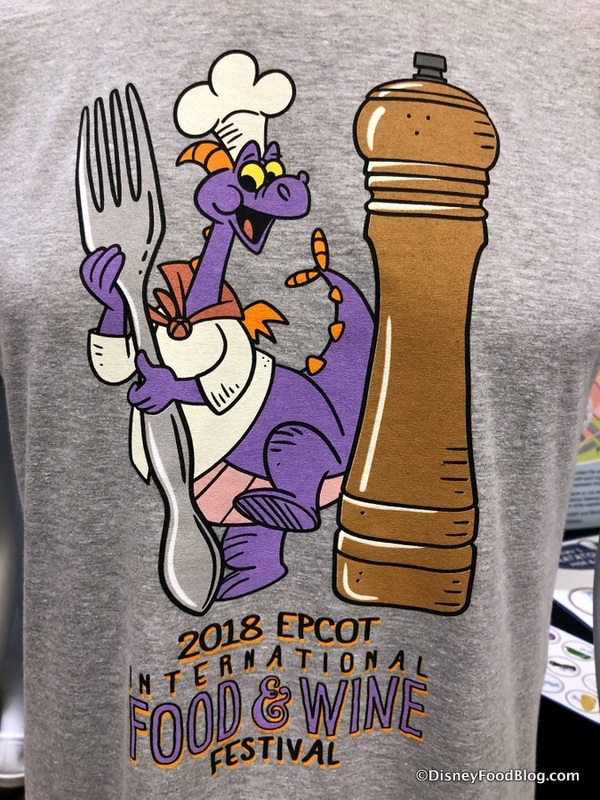 I did like the addition of Simba and Snow White, but I love my figment dearly and look forward to getting my yearly pin with him. 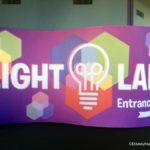 Jessica, check out our post on this! Jess, we would expect the Festival of the Arts to return! We may hear dates soon! 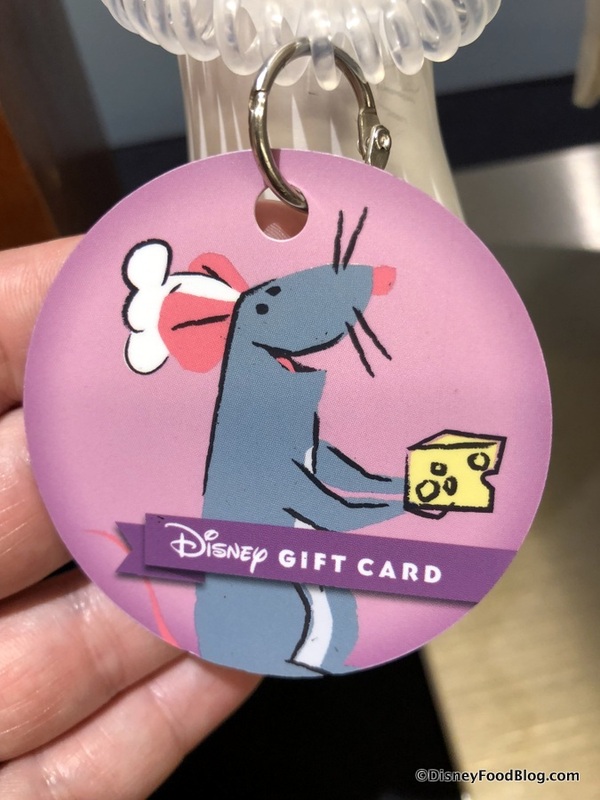 Cindy, we haven’t seen any exclusive Passholder items yet, but we would expect to see some available during the Festival. Same with the Magic Band. The spirit-style shirt has the text on the back. Andy, no word yet, but we hope so! Renessa, ADRs open the 16th of August! Martha, not yet! But we will when the Festival opens! Giselle, you could check, but officially the food booths open at 11. Cindy, no word yet, but we’re still watching for it. 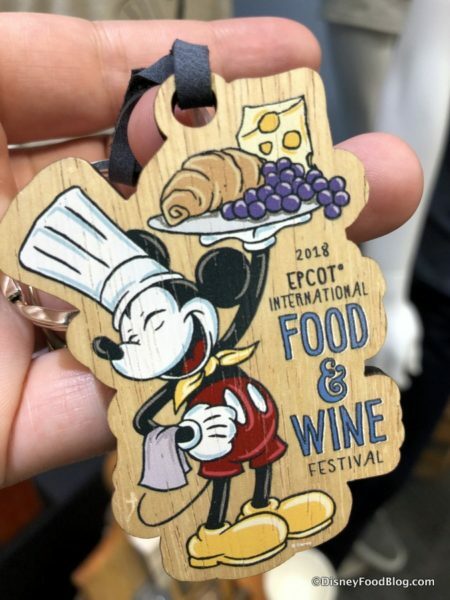 Any news on Dooney and Bourke for Food and Wine? Judy, no word yet, but we expect to see some availability. Judy — There WILL be a Dooney and Bourke for food and wine but we don’t have pics yet! Stay tuned! 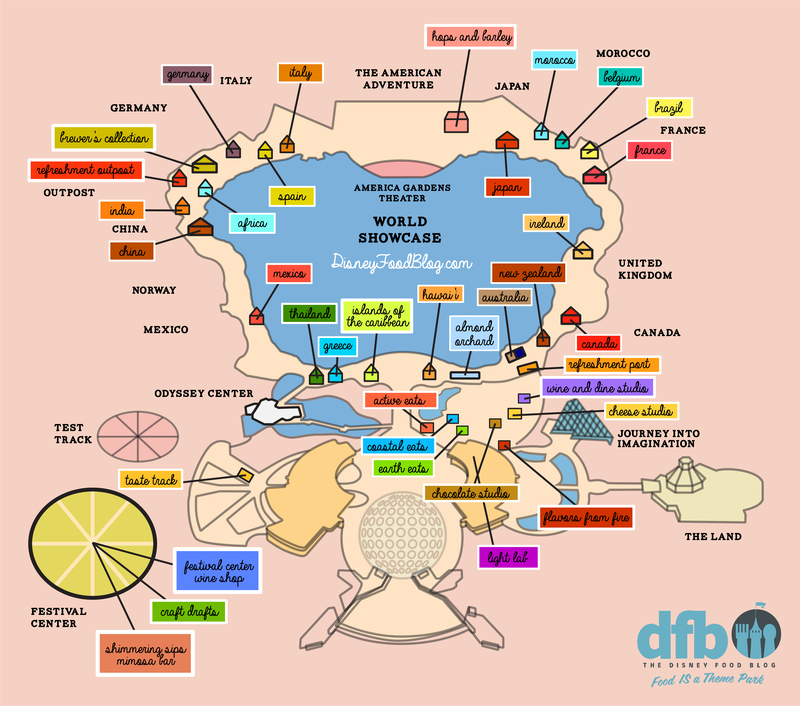 Will Disney offer the prepaid tickets for the festival booths this year?